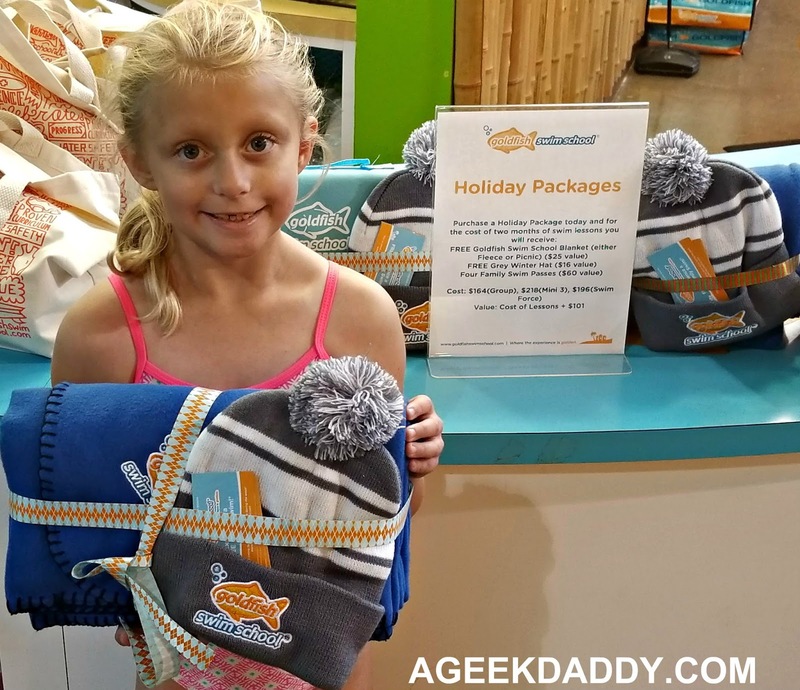 Give a present that will have a lasting impact on a child this holiday season with a gift package from Goldfish Swim School. Swimming lessons provide a great exercise opportunity while teaching kids how to be safe while having fun in the water. These are skills that can last a lifetime! Goldfish Swim School locations are offering a special gift package that is available throughout the holiday season*. Purchase two months of swim lessons and this holiday bundle also includes for FREE a fleece or picnic blanket, winter hat and four family passes to participate in open swim nights. 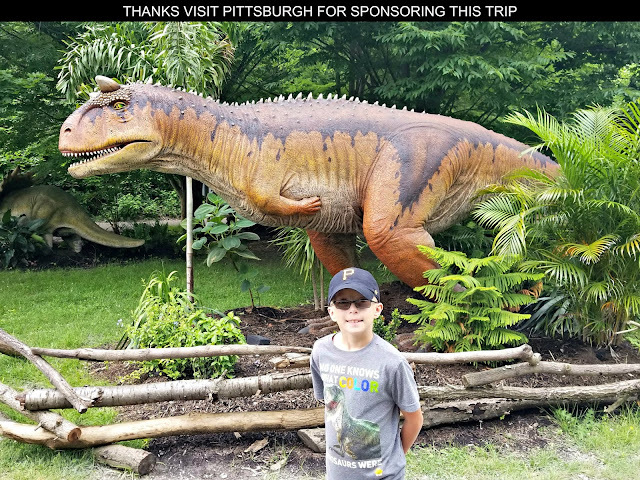 That is $101 worth of extra perks to go along with the value of the swimming lessons being purchased! My kids have been attending Goldfish Swim School for a year now and they've shown great strides in their swimming abilities plus have really enjoyed the experiences they've had there. 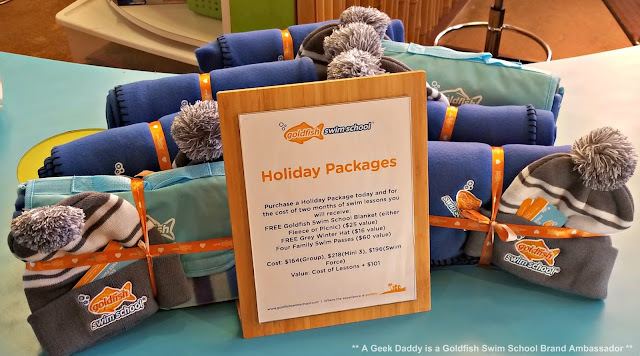 In the spirit of the holidays and to share my own family's enthusiasm for attending Goldfish Swim School, A Geek Daddy has one of these gift packages for a giveaway! I'm giving away two months of FREE swim lessons to your choice of Metro Detroit Goldfish Swim School locations indoor pools, that can be used anytime throughout the year, plus a fleece blanket, winter hat and four passes to attend family swim nights. The only caveat is that the selected winner needs to pick up the prize pack from the Birmingham, Michigan location by December 19, 2017. For a chance to win email thegeekdaddy [at] yahoo [dot] com with subject line MERRY GOLDFISHMAS along with your full name, city/township you reside in, the Goldfish Swim School location you would like the child to take lessons at and a brief message about why you would like to win the swim lessons. 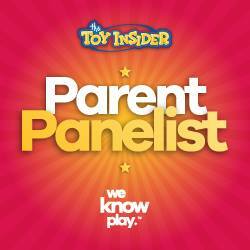 Messages content will not be judged and a winner will be randomly selected from all valid entries. Emails need to be received by 11:59 pm ET on Friday, December 8, 2017. Must be a Michigan resident over 18 years old to participate in the giveaway. The swim lessons must be for a child between the ages of 12 months and 11 years old. Good luck to all our entrants! * Contents of the Goldfish Swim School holiday gift packages may vary by location.